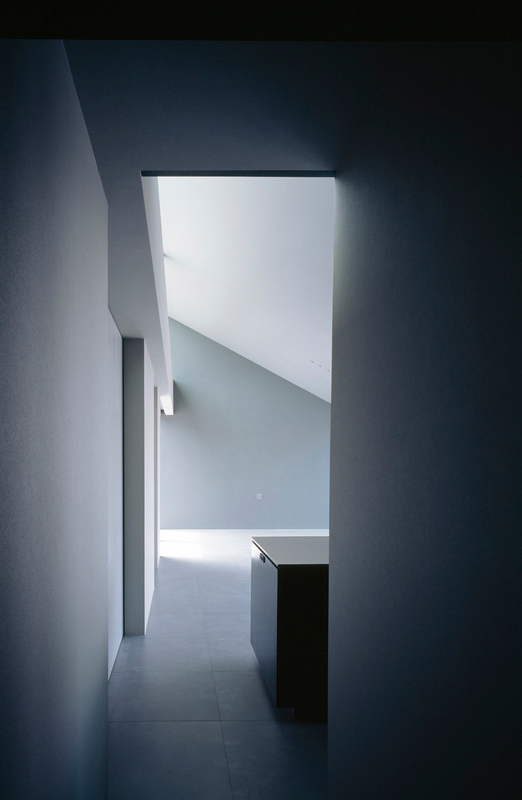 apollo architects and associates is a toyko-based practice led by japanese architect satoshi kurosaki. 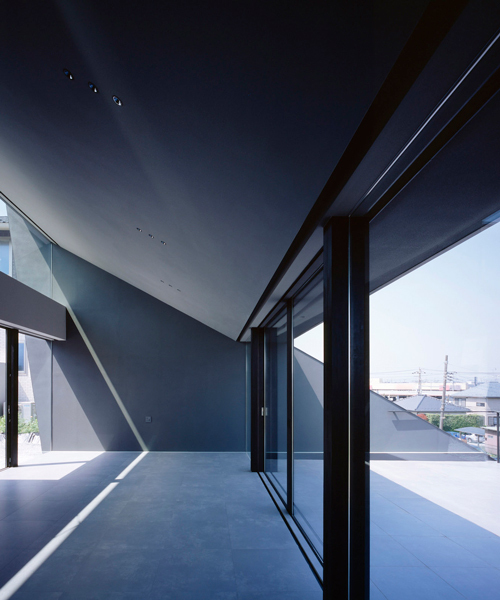 the firm specializes in creating bespoke residences in its home country. 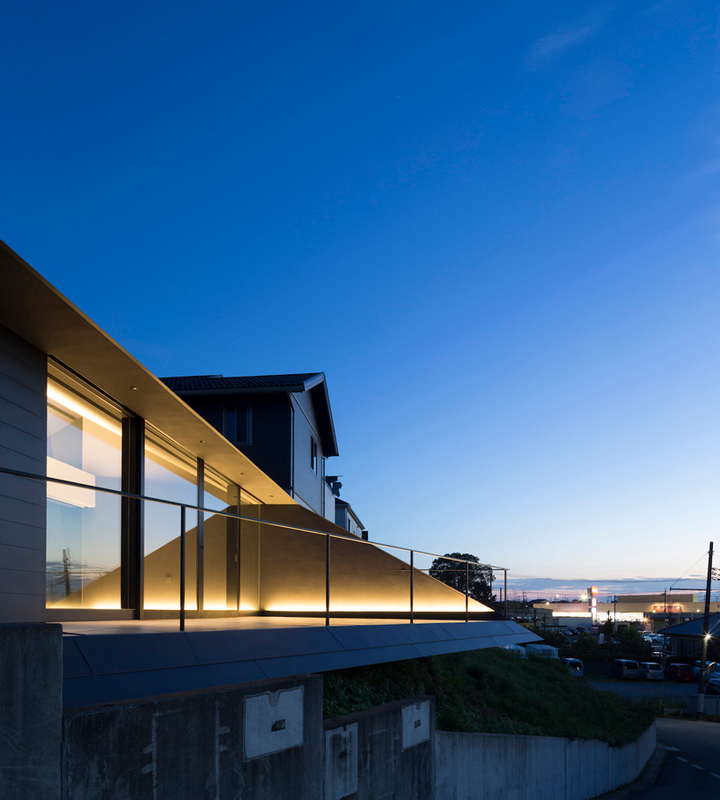 apollo architects and associates has completed the ‘acro house,’ a single family home located in chiba prefecture, japan. 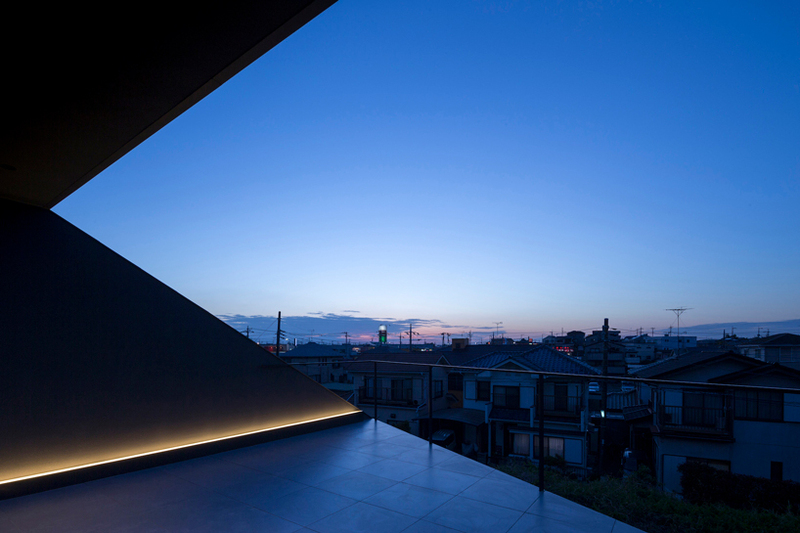 the structure’s corner lot, surrounded on three sides by streets, allows the design to take advantage of the expansive, unobstructed views to the north. 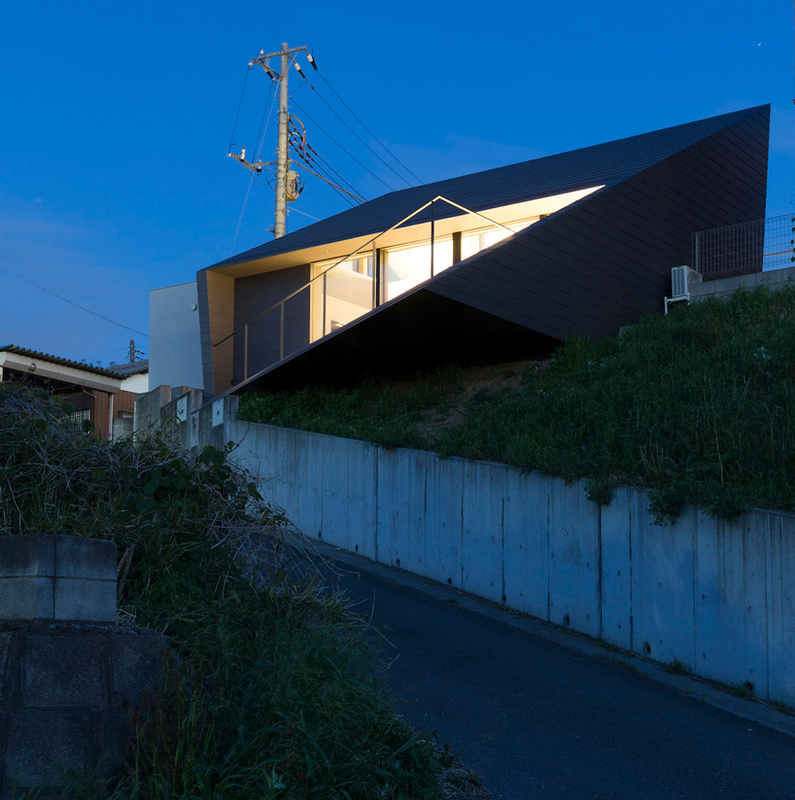 the site’s uneven elevation played a key role in the final design, elevating the home from the roads alongside. 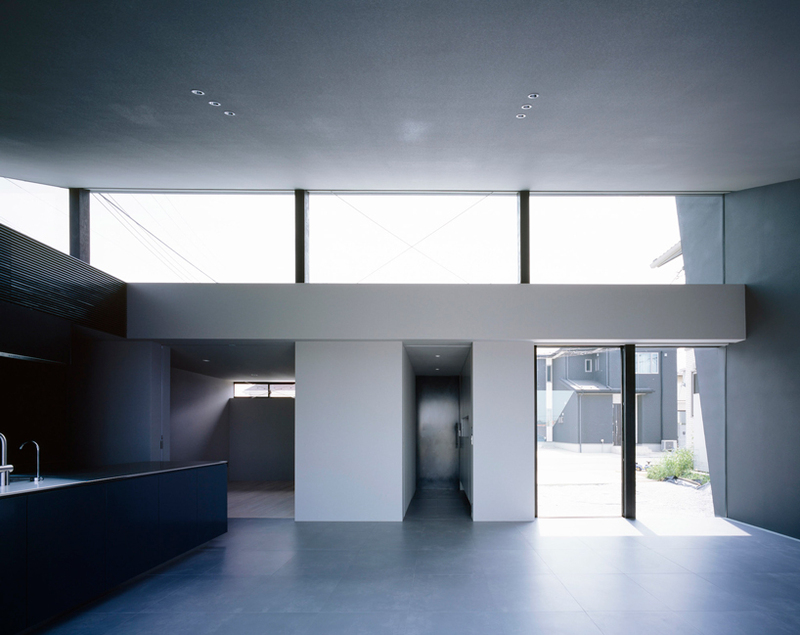 the dwelling’s design is further enhanced by its clean lines and plentiful windows. 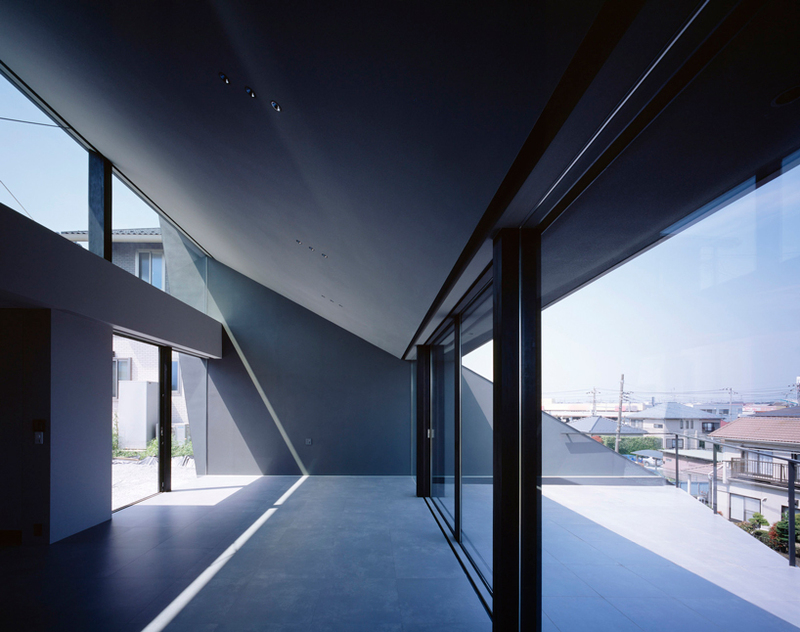 apollo architects’ design includes a projecting triangular terrace off of the main living space. 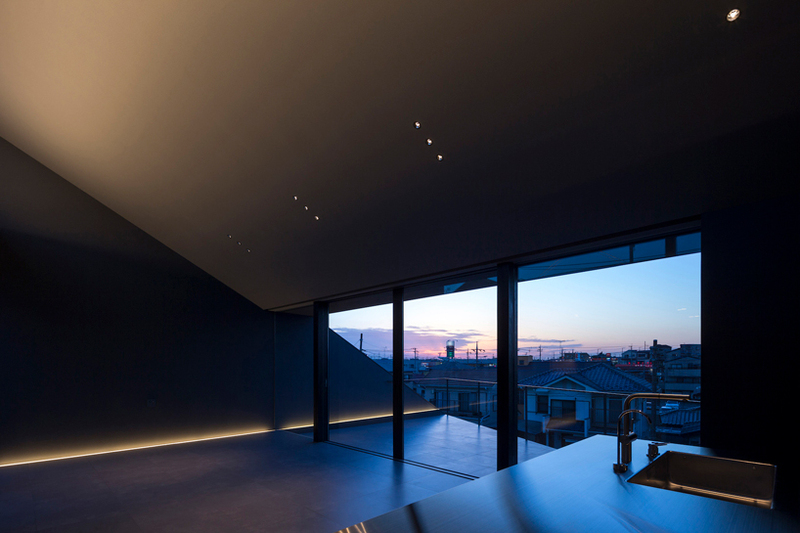 this element of the design provides the family with a private, outdoor area that can be easily unified with the interior by sliding the large glass doors into the open position. 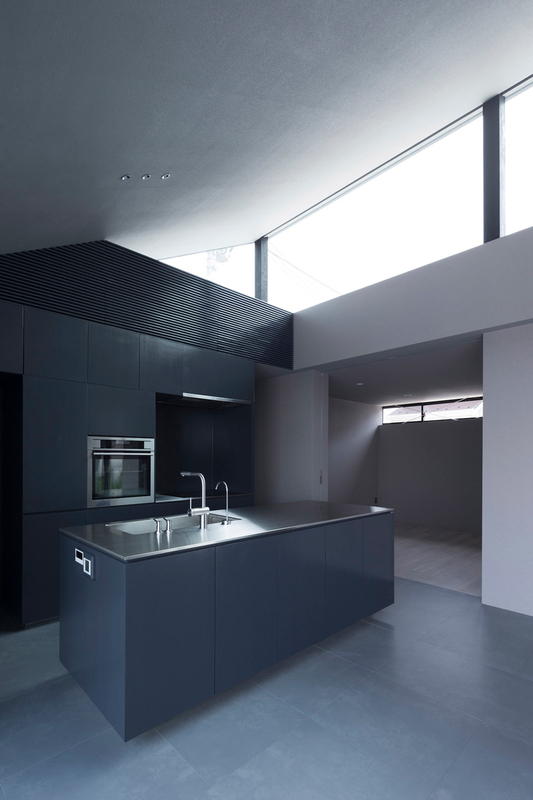 both the interior and terrace floors are made up of the same stone resulting in an effortless transition between the two portions of the home.